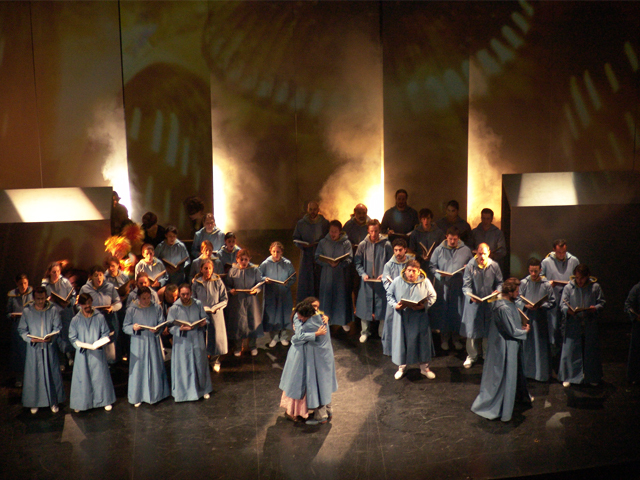 Mapped Video Projections for the Opera "La Flauta Magica" by Amadeus Mozart. 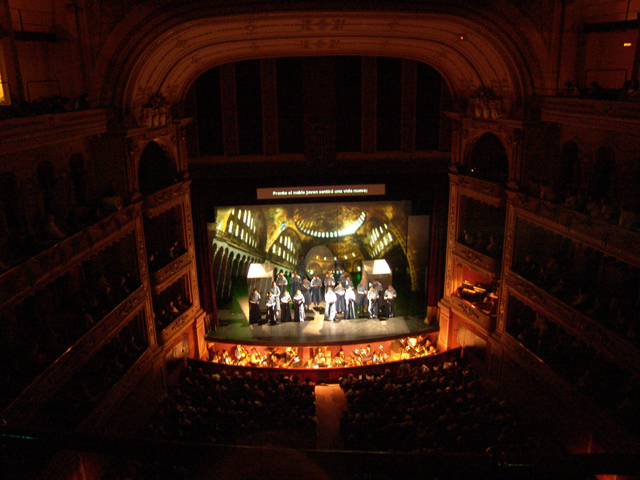 Animated environments and dynamic transitions projected on a special scenography consisting of various screens and mobile stage structures for the Opera Die Zauberflöte by Amadeus Mozart. 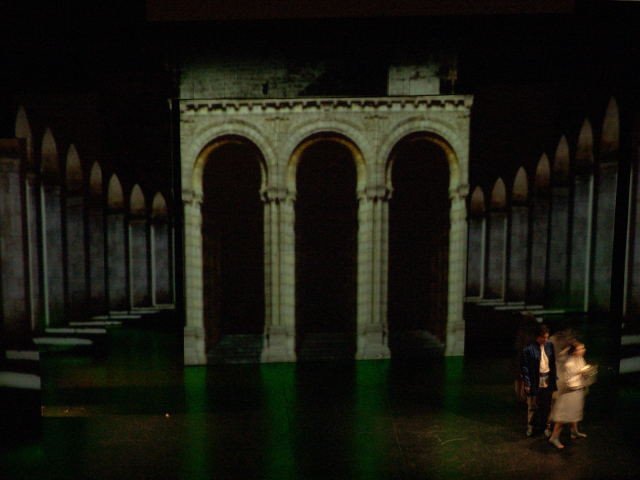 For the highlights of the opera the projections were designed to invade and spread out into the realm of the audience, immersing the whole theater into color and light.